During the hearing, Commission members questioned the staff recommendation to close low-volume license offices across the state. A 2016 DPS report found that closing “inefficient” offices would afford the department an opportunity to redirect resources to facilities grappling with higher demand. But during their panel meeting, Sunset Commission members said the proposed closures would affect rural areas of the state. “I had a hard time wrapping my head around the idea that, and I’ll just use this as an example, that an office in Presidio would be inefficient simply because there’s not many people in Presidio,” said State Rep. Poncho Nevarez during the Commission’s hearing. Nearly 90 percent of the locations on the DPS-list of suggested closures are the only places to obtain ID in their counties. More than 10 listed offices in West Texas fit those criteria, including Presidio’s. Throughout the state there are more than 200 driver’s license offices, which are overseen by DPS. The commission also called for a third-party to review what it would take to move the state’s driver’s license program from DPS to the Department of Motor Vehicles. The review is contingent on funding provided by the legislature. 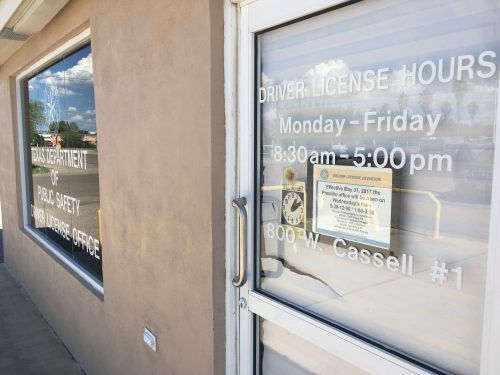 Ahead of this week’s Commission hearing, DPS officials confirmed that Presidio’s driver’s license office was temporarily closing. The shuttering of the Presidio office isn’t related to the site closures DPS recommended to the Texas Sunset Commission, but rather due to a staffing shortage. An employee who staffed both the Presidio office and the Alpine office, 85 miles to the north, has left, which has led to the closure. DPS says the Alpine office, formerly open 4 days a week, will shift to Tuesdays and Thursdays. 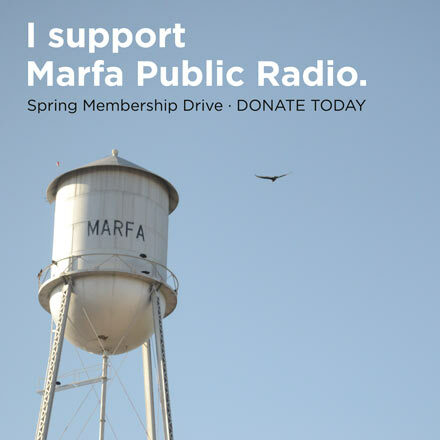 A representative from the Fort Stockton office will run the office during those hours. The department is aiming to have a new Presidio employee in place by January 2019.